I’d been reliably informed that filming in Mexico was dangerous but I figured that a mental asylum run by its own patients might be relatively safe. After a little research and a few emails I tracked down ‘El’ Pastor, founder of the asylum. I spent two weeks on my own filming from dawn to dusk. It was the most moving and exhilarating experience of my life. And that was just the beginning of three years of hard work that produced a film and a book about these amazing people. 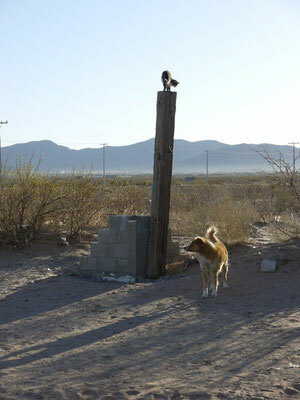 Nearby in Juárez, over 3000 people are murdered each year with impunity. Some say drug cartels, poverty, global trade, corruption. Those with money have fled. Most remain trapped. There is love in the harsh world of the asylum and the fact that the patients are still alive is testament to this. Josué’s past, his transformation and reuniting with his family offers rare hope in a brutal world. Something far away from the pornographic sensationalism of most reporting from Juárez and similar official or unofficial warzones.